Cheri Jacobus talks about the GOP, Russia, the media and taking back Congress. 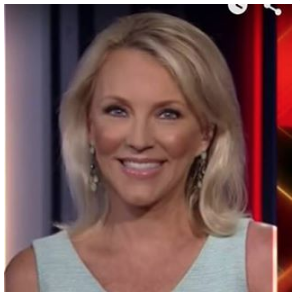 Cheri Jacobus is a widely known political consultant, pundit, writer and outspoken former Republican. She has been a guest on CNN, MSNBC, FOX News, CBS.com, CNBC and C-Span. After many years working with the GOP, she has a unique view of the party and politics. Cheri shares her insights on today’s political environment with us. Ilene: What main factors have transformed the Republican Party into what it is today? Cheri: Right-wing media and evangelicals softened the GOP, making it quick to sell out to Trump. I witnessed the change in FOX as it morphed from being a fresh, scrappy effort with what was then a needed voice in a sea of liberal media, to a completely dishonest, manipulative, corrupt enterprise both on and off the air. And right-wing evangelicals (not to be confused with legitimate Christians) drowning in Trump-backing hypocrisy stems from ignoring the line between church and state, spouting propaganda from the pulpit. Ilene: What do you mean by “softened”? Cheri: Methodically dumbing down, requiring little fact-checking or thoughtful debate, so that the Machiavellian establishment was quick to sell out – no questions asked. It was made easy for them. Ilene: Why does it seem like Trump supporters and Trump critics are living in different worlds? Cheri. While Trump supporters know about some of Trump’s tweets, they learn about them through the filter of right-wing Trumpian media, and never hear the fact-checking or push-back. Trump supporters live in an information vacuum but don’t know it. They are not on Twitter, by and large (although we know there are millions of fake Trumpkins on Twitter as trolls and bots). The “fix” is having real media be consistent, clear, repetitive and never let up reporting the truth about Trump. Ilene: What are the Democrats’ odds of winning the House and/or Senate in 2018? Cheri: Very good, but not the slam dunk many believe, unless Mueller comes down heavy before that. And, given the media blackout of all negative news on Trump in some corners, many voters will not get the full picture. A daily diet of FOX, Trump right-wing radio and disinformation from the pro-Putin Breitbart, Daily Caller and the mysteriously-funded Federalist, makes it a challenge for the truth to reach many voters. Ilene: What advice would you give to the Democratic Party? Cheri: Run on an anti-corruption platform. Explain and pound on the scandals, crimes and ethical missteps of Trump, his family and his Administration. Draw in anti-Trump Republicans or ex-Republicans, moderates and Independents by including going after waste and fraud in federal spending as part of that anti-corruption message. Even if a few of your own get caught in the net, be purists. Mean what you say. Prove it. And hit hard. Ilene: What do you think of the idea of Democrats promoting "restoring the middle class" as another platform – i.e., focusing on strengthening the middle class and reversing the trend of people becoming poorer? Cheri: It’s a solid message that will appeal to many Republicans and Independents who, because of their objection to Trump and Trump’s GOP, now are willing and even eager to listen to what Democrats have to say. And perhaps even a few former Trump supporters who feel betrayed by Trump because of his draconian and damaging trade policies that have moved them a notch below middle class. Ilene: What will the Republican Party look like after November’s election? Cheri: Disarray. I hope. So many GOP opportunists sold their souls to grab the goodies that came with having Trump in the White House, as if he were just another Republican president. They will have nowhere to go after this, save for the jungles of Brazil. Although, sadly, it’s also possible they will simply pivot to pretending to be “Never Trump” as quickly and coldly as they pivoted to being pro-Trump as a means to survive. Ilene: Does Trump really believe it’s easy to win a trade war? Cheri: It may take a few more $12 billion payments like the one Trump just made to farmers to convince him that it’s not. But he doesn’t really care that he’s wrong about it being easy to win. It’s not his money he’s playing with – it’s taxpayers’ money. Republicans are publicly slamming Trump for the trade wars, but in fact, they gave him authority to tap into the USDA account in the omnibus spending bill passed earlier this year. They let the fox into the hen house and now complain. The Trump cult is strong, stupid and stubborn. Even the soybean farmers Trump has now betrayed and who are now on what amounts to welfare are seemingly sticking by him. Their allegiance to Trump is stronger than their commitment to farming. Let’s see how long it lasts. If Trumps suffers in the polls and starts losing some of these people, that may be a wake-up call unless he’s acting on Putin’s orders, in which case, all bets are off. Ilene: Do you think Russia is influencing Trump’s policies? Cheri: Yes. The U.S. Treasury is considering easing or removing sanctions from Russian aluminum producer Rusal. Trump has no plans to try to secure the November elections even though he’s been told unequivocally that Putin is already working on interfering in our midterm elections. Also, China, the world’s largest importer of soy, is now buying record amounts of soy from Russia because of Trump. Ilene: Are you worried about Trump’s attacks on news media, e.g., calling the press “the enemy of the people” and taxing Canadian newsprint? Cheri: Trump’s attacks on journalists, his lying about his conversations with publishers, and threats of increasing taxes on newspapers is dangerous, and his calling the free press “the enemy of the people” is an actual threat to the physical safety of journalists. He knows this, and it’s why he persists with the dangerous rhetoric. Threats won’t affect the media coverage. But we know that ratings, clicks and sales will. And currently, there is money to be made in reporting Trump’s lies, tantrums, scandals, and mental state. Sadly, the media – mainly cable news – helped create Trump by covering him more than all of the other GOP primary candidates combined, solely because he was ratings gold, sold newspapers and was cheap, easy entertainment. CNN chief Jeff Zucker, when confronted by employees expressing concern that the network was giving too much attention to Trump and that they were handing him the GOP nomination, was quoted as saying to the staff at a network-wide meeting, “Keep the cameras on him [Trump] until the eyeballs leave.” Zucker, by the way, greenlit “The Apprentice” when head of entertainment at NBC. Ilene: I'm guessing you've switched parties? Cheri: I left the GOP two years ago when they nominated Trump and now am registered as "unaffiliated" (Independent). Top Picture: Cheri's picture at Facebook. 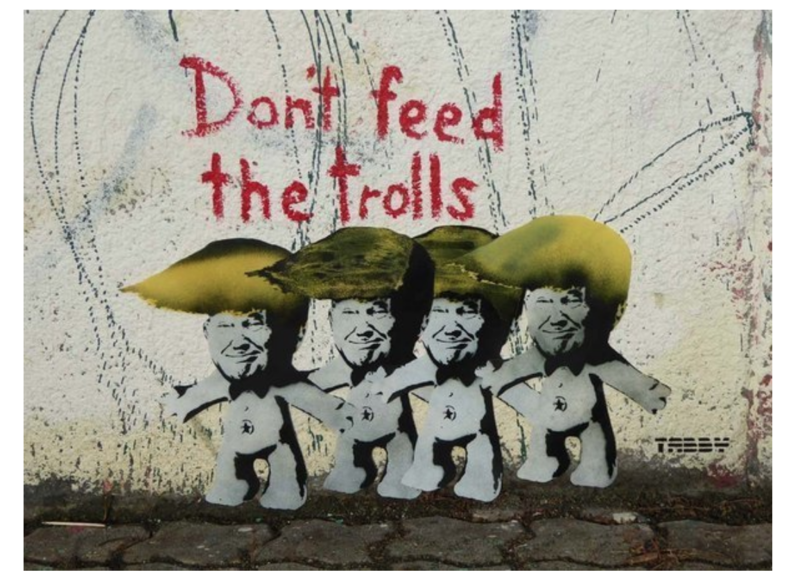 Trump Troll doll picture via Huffington Post: "TABBY painted 'Don’t Feed The Trolls' in Vienna before the presidential election. 'Trump is everything that’s right and wrong with America and the world,' TABBY told HuffPost at the time. 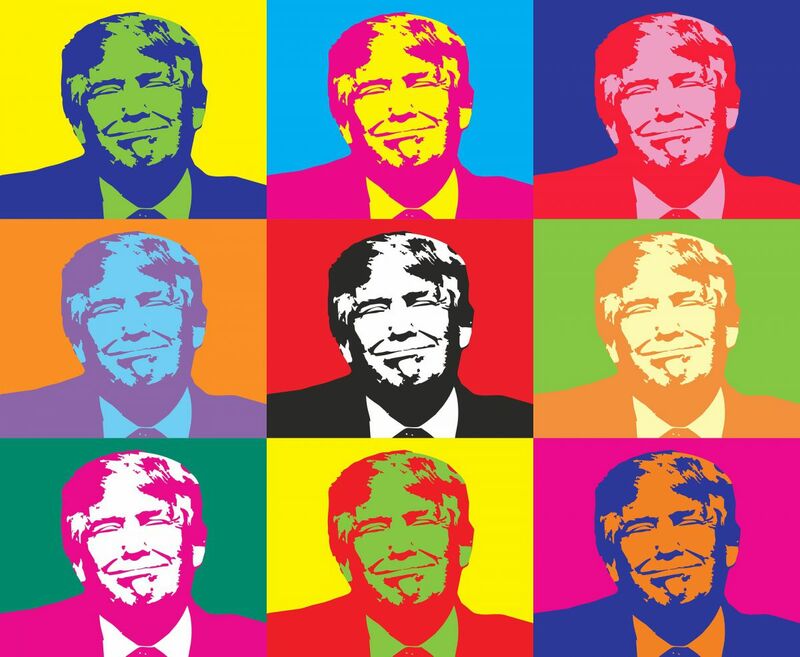 'He’s the American Dream of being super wealthy and saying what you want, while being totally out of touch with reality.'" 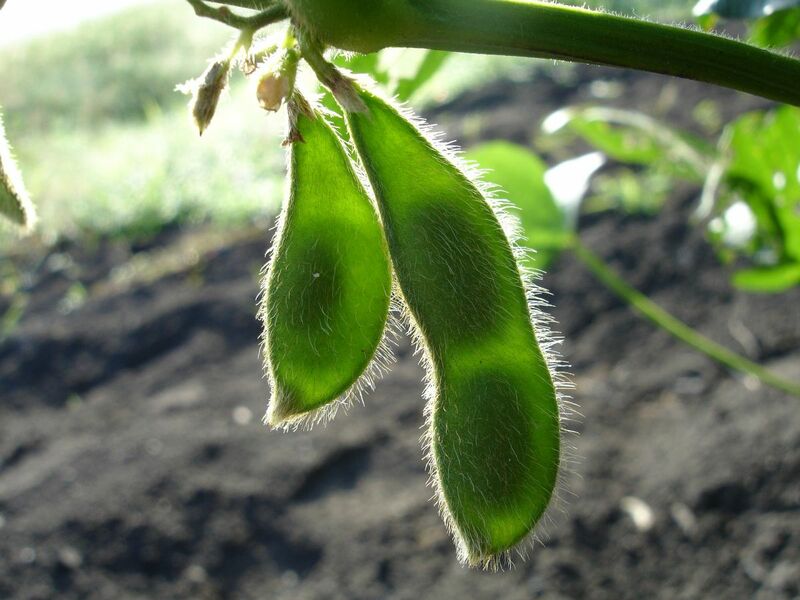 Picture of soybeans, money and Trump faces via Pixabay. This entry was posted on Monday, August 13th, 2018 at 9:08 pm and is filed under Appears on main page, Immediately available to public, Phil's Favorites, Uncategorized. You can leave a response, or trackback from your own site.